Houston, TX (April 23, 2015): The Lone Survivor Foundation is celebrating the grand opening of their Crystal Beach Retreat Facility with a private dedication and ribbon cutting ceremony on Saturday, April 25, 2015 and a public open house on Sunday, April 26, 2015 from 11am -2pm. Saturday, April 25 is an invitation only event for the donors who have contributed directly to the building of the facility; including labor, materials, and financial donations. A private viewing for credentialed media will be held from 9a-11a and all media are invited to stay for the day’s events. Lunch will be provided. Sunday, April 26 from 11a – 2p the LSF Crystal Beach Retreat Facility will be open to the public to tour. The facility is located at 949 Surfside Dr. Crystal Beach, TX 77650. There is no cost to the public to tour the facility. A BBQ lunch cooked on-site by Getting Sauced Cookers and generously provided by Kroger will be available for a donation. On April 26,, 2014 US Navy SEAL (Ret.) 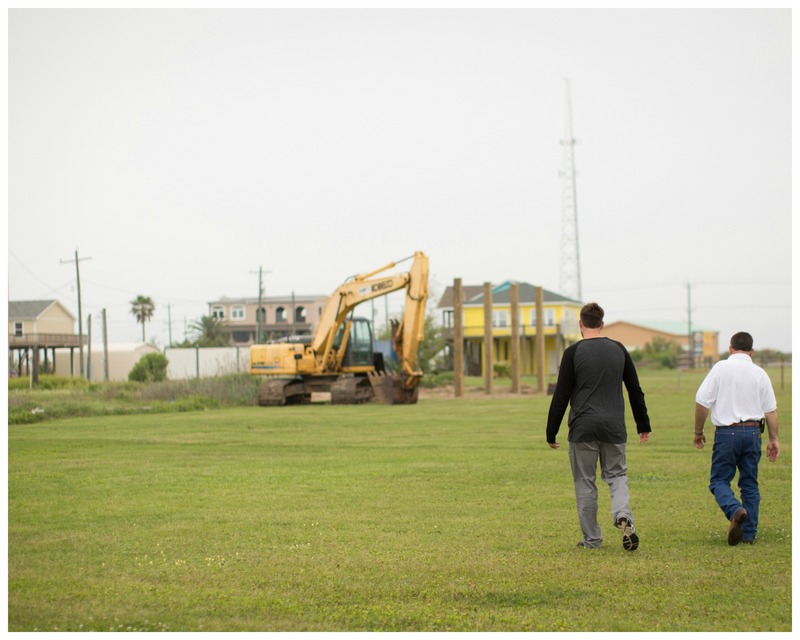 Marcus Luttrell, founder of the Lone Survivor Foundation and Clint Byrom, General Manager of BRINT Construction, walked across an empty lot in Crystal Beach’s Surfside community to fire up the backhoe at the groundbreaking ceremony and carved out a chunk of earth, marking the location as the site of the future Crystal Beach Retreat Facility. Now, a short 364 days later, the Lone Survivor Foundation will see the ribbon cut on their first permanent, Foundation-owned facility where they will conduct all-expenses paid, educational and therapeutic retreats for service members, veterans, and their families learning to cope with the invisible wounds of war. The Lone Survivor Foundation provides support for our wounded service members, their spouses and children by empowering them with helpful techniques and tools addressing Post Traumatic Stress Disorder (PTSD), mild Traumatic Brain Injury (mTBI), Military Sexual Trauma (MST), and pain management. The Lone Survivor Foundation restores, empowers, and renews hope for our wounded service members and their families. The Lone Survivor Foundation is a Federal 501(c)3 non-profit founded in 2010 by US Navy SEAL (Ret.) Marcus Luttrell. To learn more visit www.lonesurvivorfoundation.org. Brint Construction was started by Tim and Susan Byrom in 1985 and are a family owned and operated business The second generation of Brint Construction, Inc. has been unfolding here on Bolivar since 2008. Brian and Clint Byrom, the company’s namesakes, have taken over the family business and have been working to continue the legacy their father, Tim, has created. To learn more visit www.brintconstruction.com. 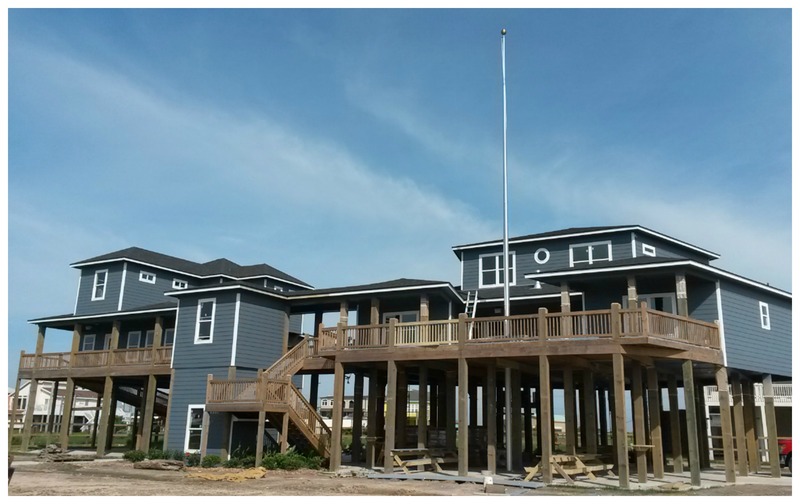 April 23, 2015 – Coming in at just under one year from ground breaking to grand opening the Lone Survivor Foundation Crystal Beach Retreat Facility stands tall.